Joyner Plumbing offers the broadest array of tankless water heating systems in Tarrant County. Gas hot water heaters are efficient and effective. You now have the choice of traditional or tankless hot water systems. We would like to provide you with some information to help in the decision-making process of your new water heater system. 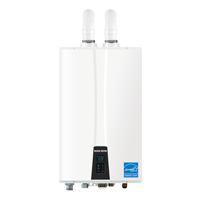 Navien tankless water heaters are compact heating units that provide hot water as it is needed and do not store hot water like traditional tank-type water heaters. When a hot water tap is turned on, water enters the tankless water heater. A sensor detects the water flow and activates a gas heating device, which quickly raises the water temperature to a preset level. When water flow stops, the heating device shuts off. 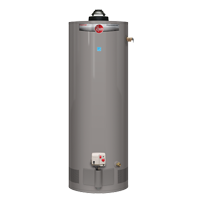 Unlike traditional storage tank water heaters, tankless water heaters do not store a reservoir of hot water. As a result, standby losses are reduced, which makes them an energy-efficient alternative to traditional water heating. When water flow is detected, they begin heating water, making them highly efficient and cost-effective. When the demand for water ceases, they enter standby mode and use essentially no energy. click the Navien logo above to learn more about the tankless water heaters we carry.